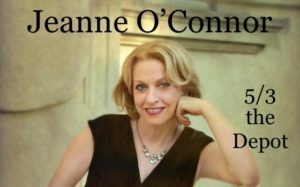 JEANNE O’CONNOR is a vocalist who has delved deep into the heart of the Great American Songbook with swing, subtlety, and deep musicality. She has also brought her clear, expressive alto voice to pop, Latin music, and R&B. She is an experienced voice educator who teaches students in fundamental vocal skills as well as diverse singing styles: jazz, musical theater, pop, rock, folk, and choral. Jeanne has appeared at New York’s Blue Note, Elaine’s, Sweet Rhythm, the Rainbow Room, Smoke, and many other jazz clubs. She was recently a featured vocalist on opening night of “Midsummer Night’s Swing” at Lincoln Center, sharing the stage with Nicholas Payton. She did a six-week run at the Guggenheim Museum as part of its “Worldbeat Jazz” series. In New York’s Capital Region, Jeanne has appeared at the legendary Caffe Lena in Saratoga Springs, Justin’s jazz club in Albany, Upbeat on the Roof at the Tang Museum at Skidmore College, “A Place For Jazz” concert series in Schenectady, concerts sponsored by the Swingtime Jazz Society, and the Saratoga Arts Festival. She has appeared frequently with Vince Giordano and the Nighthawks, perhaps the most celebrated early-jazz big band in the U.S.
Jeanne is a founding member of String of Pearls, a New York-based vocal trio that performs vintage and modern jazz with style, sass and superior musicianship. (www.stringofpearls.net) With String of Pearls, Jeanne has performed at the Kennedy Center in Washington, D.C. as part of the Mary Lou Williams Women in Jazz Festival. The trio has made appearances in Munich nightclubs, summer festivals in France, and nightclubs and concert halls throughout Japan. In New York, the group has appeared in the JVC Jazz Festival, Alice Tully Hall, Town Hall, The Manhattan Center, and the Battleship Intrepid. The “Pearls” have been on the bill at the Metropolitan Room, Trumpets, and the Blue Note. String of Pearls has often taken part in the well-known “Lyrics and Lyricists” program at the 92nd Street Y, the annual Jazz Nativity, the New York Cabaret Convention, and the Cape Cod and Provincetown Jazz Festivals. Jeanne also co-created “Lanham and O’Connor,” a vocal duo with NYC singer Richard Lanham that moves easily between swing and soul. More recently, she gathered some of the best musicians in upstate New York to form “Jeanne O’Connor and the New Standard,” a group that re-interprets great songs from the 60s and 70s with lush vocal harmonies and great grooves. ( www.jeanneoconnorandthenewstandard.com ) She also works in a duo with AzzaamHameed, a keyboardist with deep knowledge of jazz, R&B, and gospel. 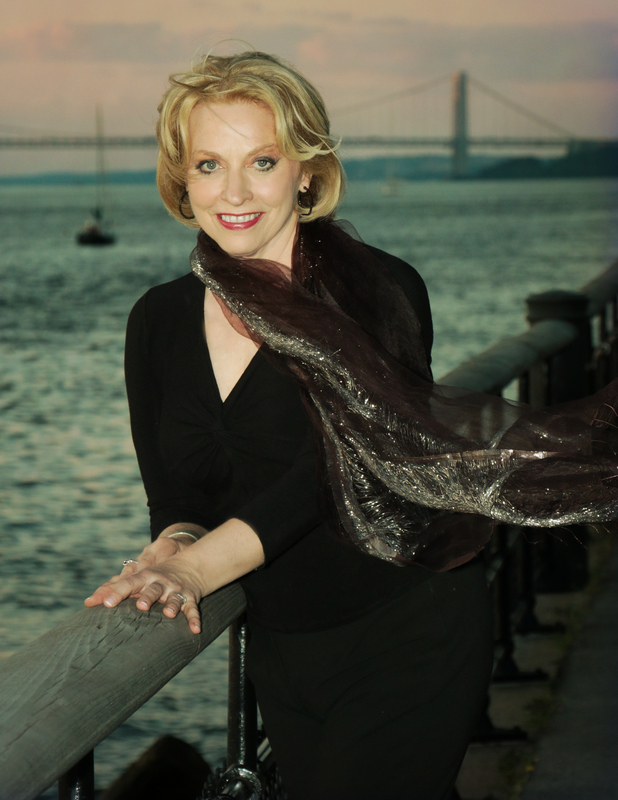 Jeanne has sung with several outstanding classical choruses, including the New Amsterdam Singers and the Battenkill Chorale. She also works doing backup vocals, studio work, and private functions. Jeanne studied piano and sang in pop and folk bands as a youth, but went on to study liberal arts at Brown University. There, she began singing in nightclubs with jazz and swing bands. She moved her singing career to New York in the 1980s. She studied voice with several renowned teachers, including Anne Marie Moss, Cornelius Reid, and Jane Burbank. In 1992, she married the brilliant pianist, composer, and producer Don Grolnick. Don succumbed to lymphatic cancer in 1996, a loss that resounded throughout the music world. Jeanne has since remarried, to physicist David Atkatz, who taught at Skidmore College in Saratoga Springs. Jeanne divides her time between New York, Saratoga, and wherever her music takes her.